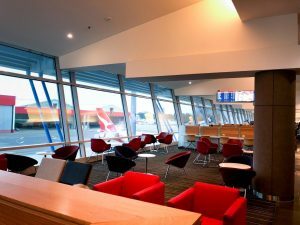 The Star Alliance carrier’s top premium product is a highly-sought-after award redemption, and travellers in New Zealand are lucky to count Auckland as one of the airports where it is available from, during the peak summer months, with onward connections to a range of destinations in Asia, Europe and the US. 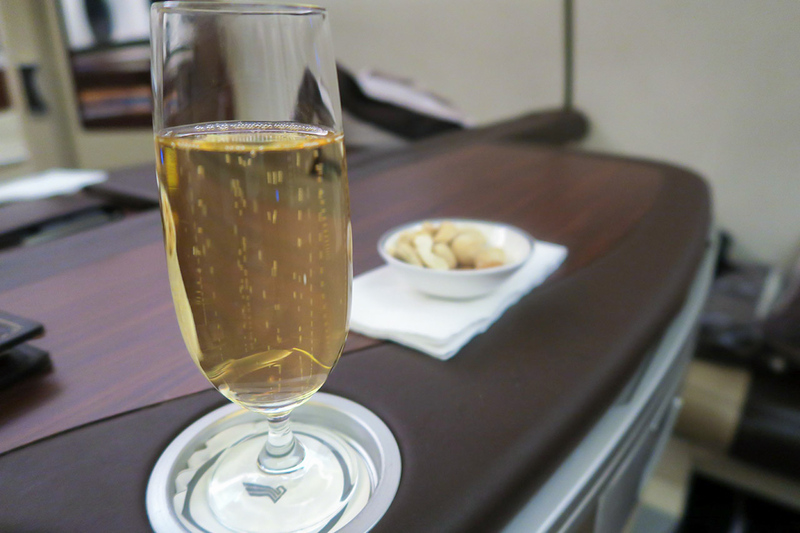 Using KrisFlyer miles or Velocity points are the two best ways to get onboard one of these flights. 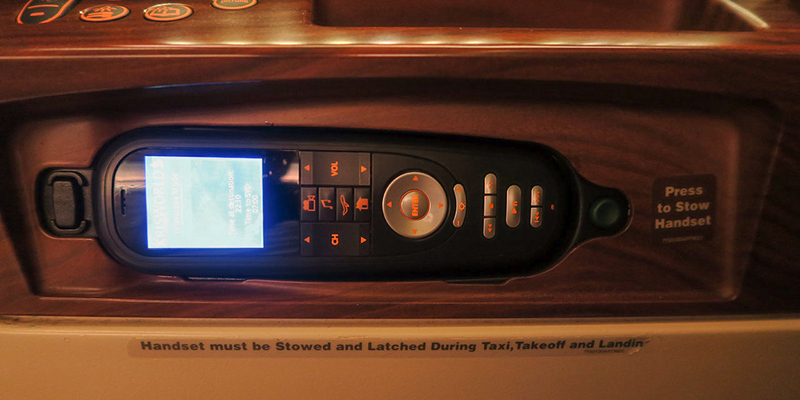 Unfortunately you’re unlikely to find award space using Air New Zealand Airpoints. 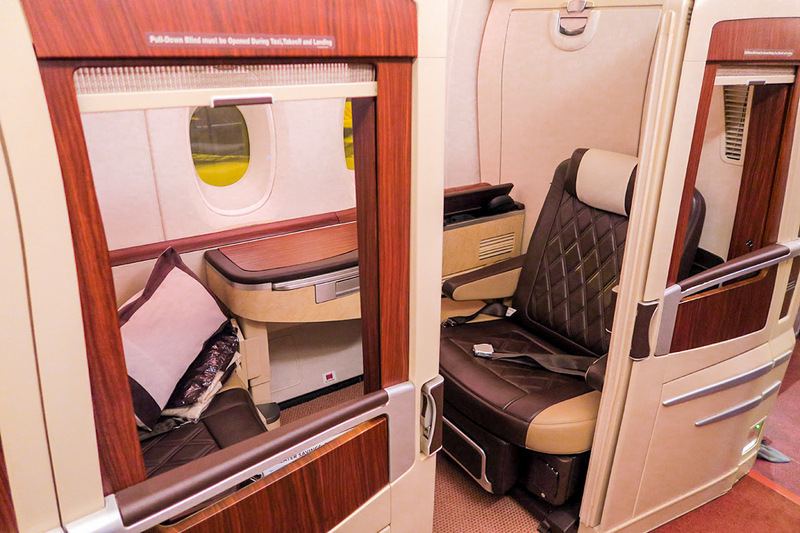 Note that Singapore Airlines plans to refurbish its A380 fleet starting in late 2017, gradually replacing its current ten-year-old Suites product (with 12 on each plane) with potentially six newer, larger Suites. 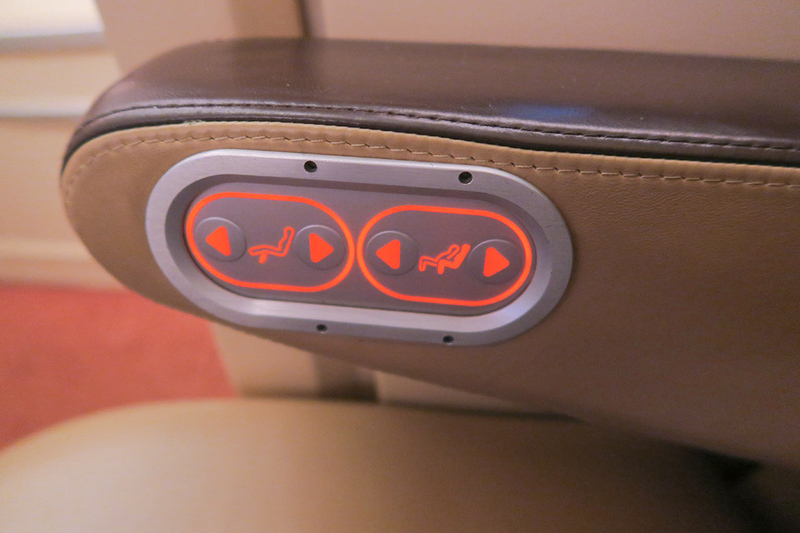 Whilst that is good news in terms of upping the features of this product, it is expected that it will significantly reduce the amount of seats that are released for award redemptions. 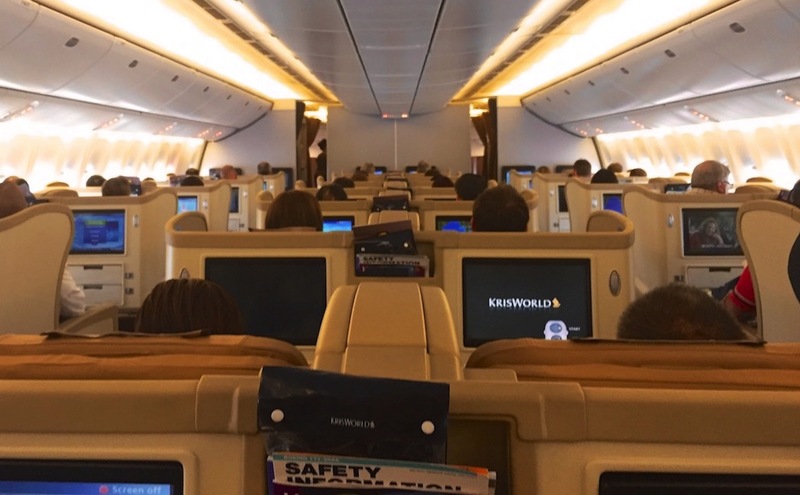 Therefore, it is advised to book this redemption sooner rather than later to experience the current product, and potentially have your future flight from late 2017 onwards upgraded to the newer product. 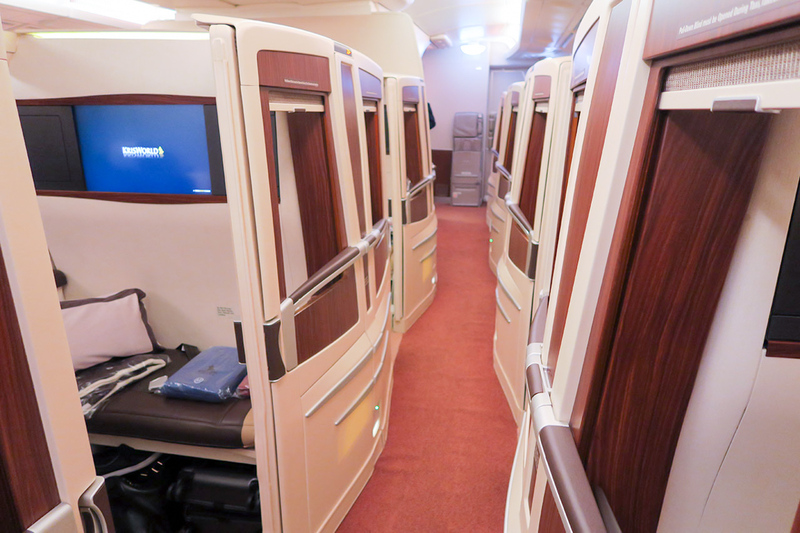 Although Singapore also serves Christchurch and Wellington, there is no First Class offered on those routes. 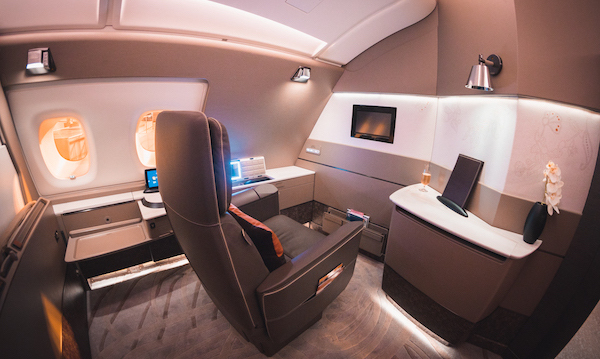 The First Class cabin on Singapore’s A380 aircraft feature 12 closed suites located at the front of the lower deck of the aircraft, each with 81 inches of pitch and 35 inches of width. 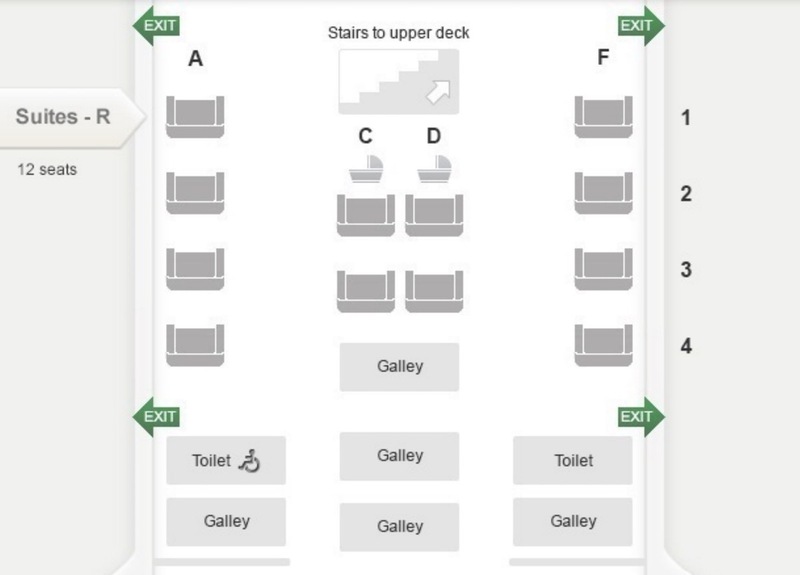 There are two lavatories located at the back of this cabin, meaning that you may want to minimise noise by avoiding selecting a seat in the last row. 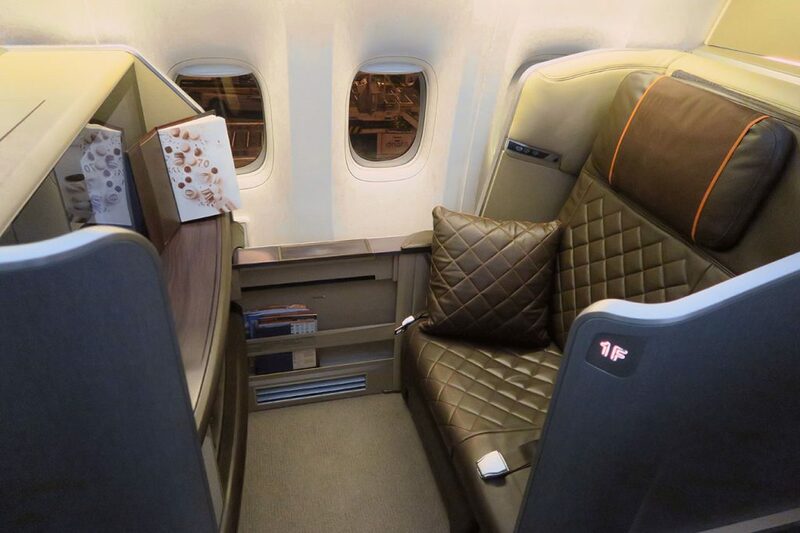 Considering this product was introduced almost ten years ago, it showed minimal signs of wear and tear and the cabin was spotless on my flight. 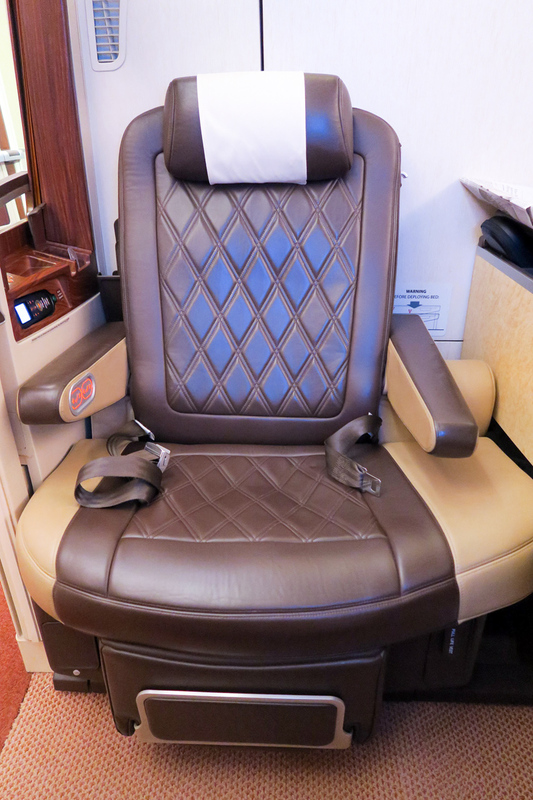 The seat is wide, comfortable and upholstered with soft leather. 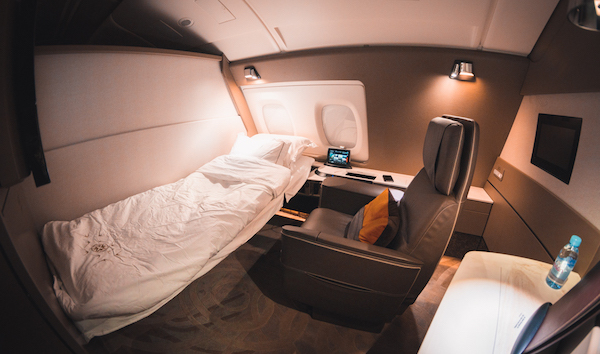 My only criticism is the limited recline as it is not mechanical – the cabin crew has to manually flip the seat forward to make the bed. 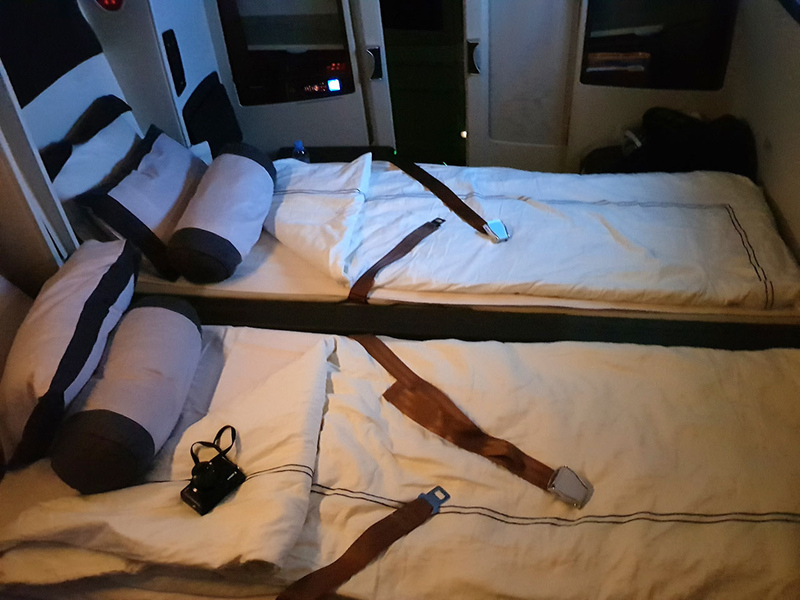 If you are seated in one of the couples’ suites in the middle (or if it is a particularly empty flight), you can ask the cabin crew to make up a ‘double bed’ for you. 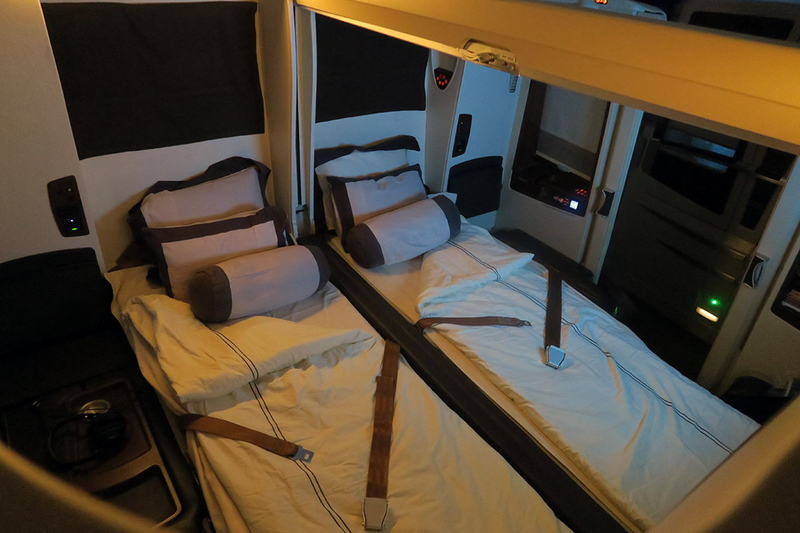 Just note that it is not really a double bed as there is a solid divider in the middle, so I would not recommend sleeping across it. 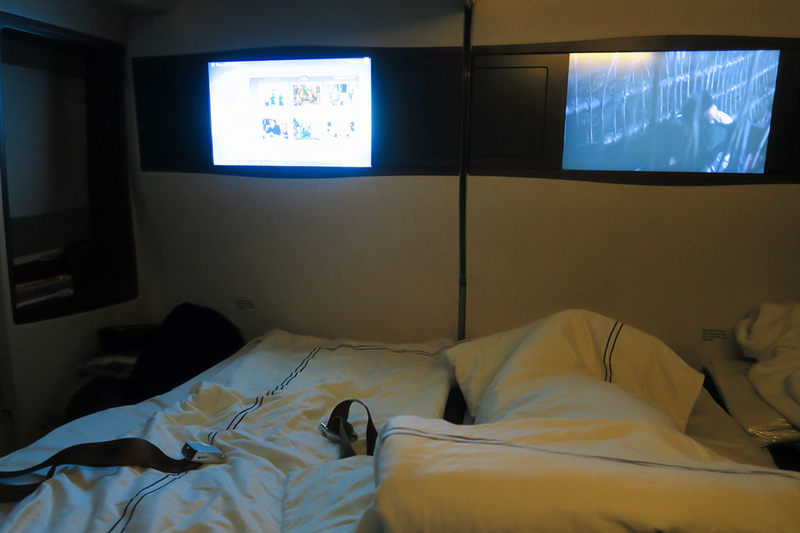 Having said that, this is the closest thing to a double bed in the sky! 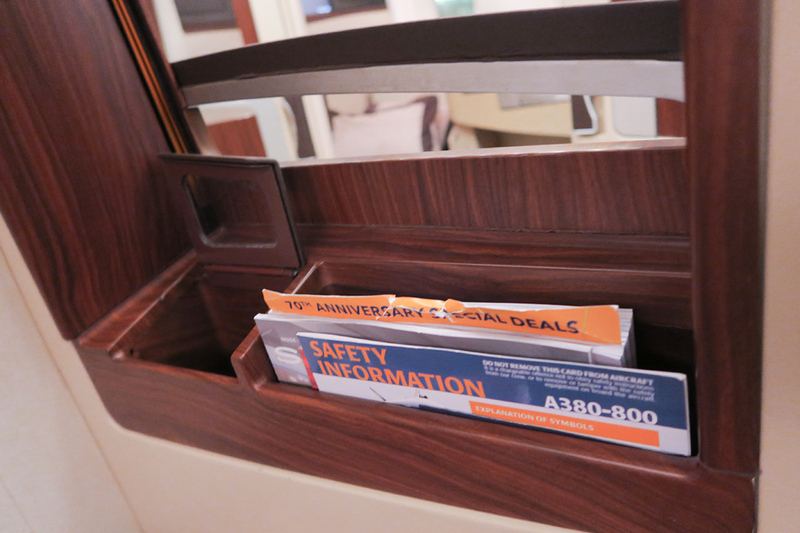 With the privacy blinds pulled down and doors closed, it feels truly private and spacious – I had to pinch myself! 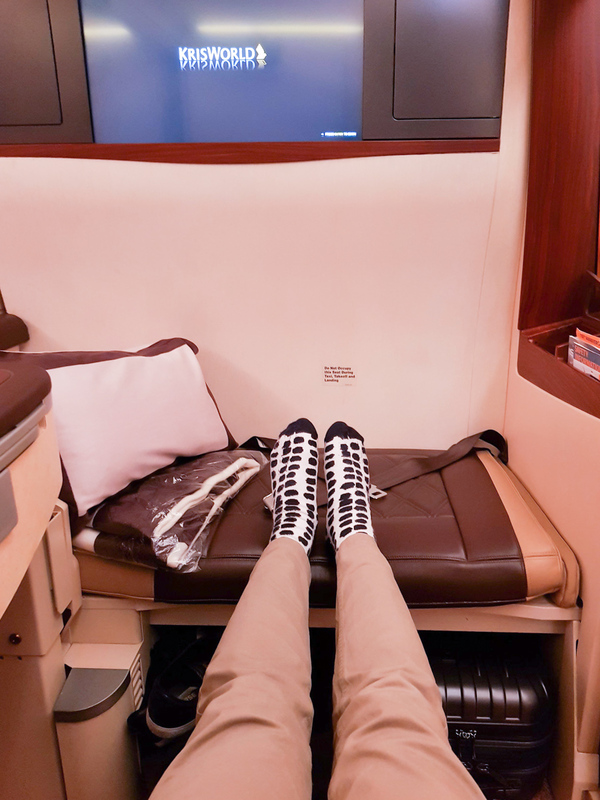 The bed was really comfortable and I found myself drifting asleep, however, as with many Asian carriers, the cabin temperature is kept quite warm, so combined with the thick pyjamas, bedding and blanket provided to you, you may want to kick off the blanket to prevent sweating. 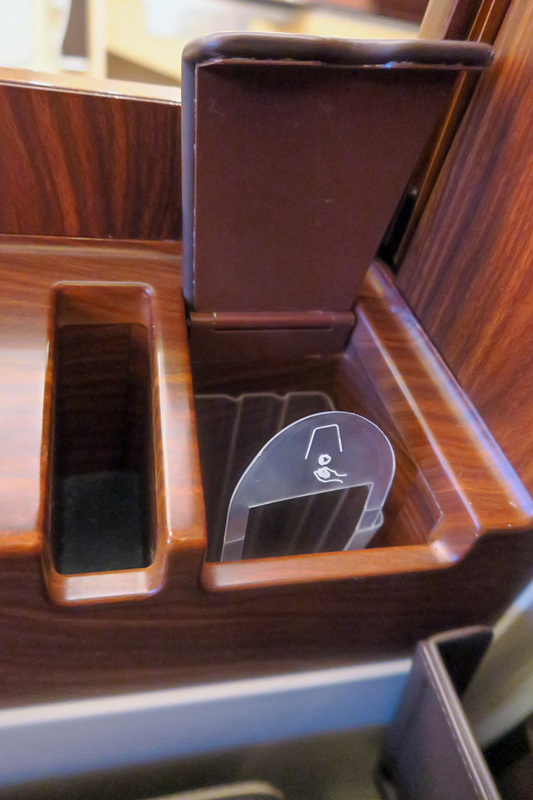 With your suite door closed, your privacy is still respected. 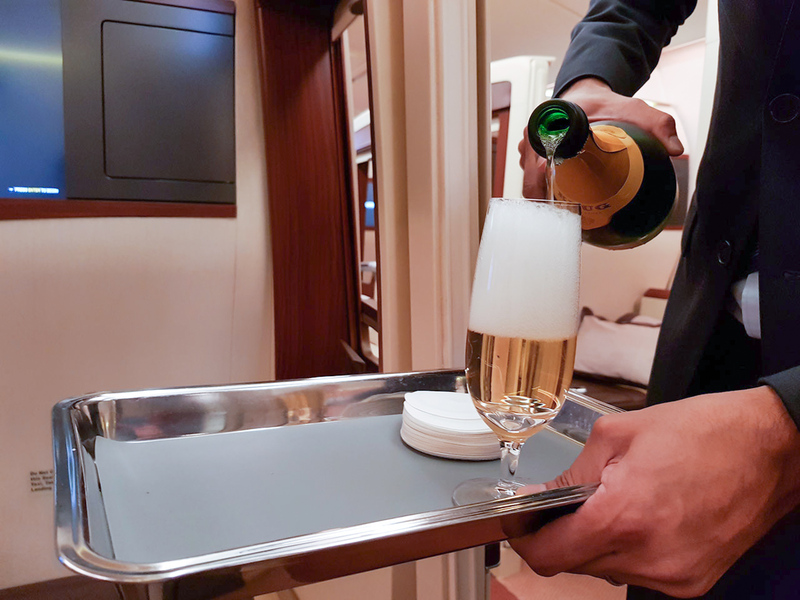 The cabin crew seemed rushed and not quite as polished as I had hoped, which is strange given my flight had five empty First Class Suites. 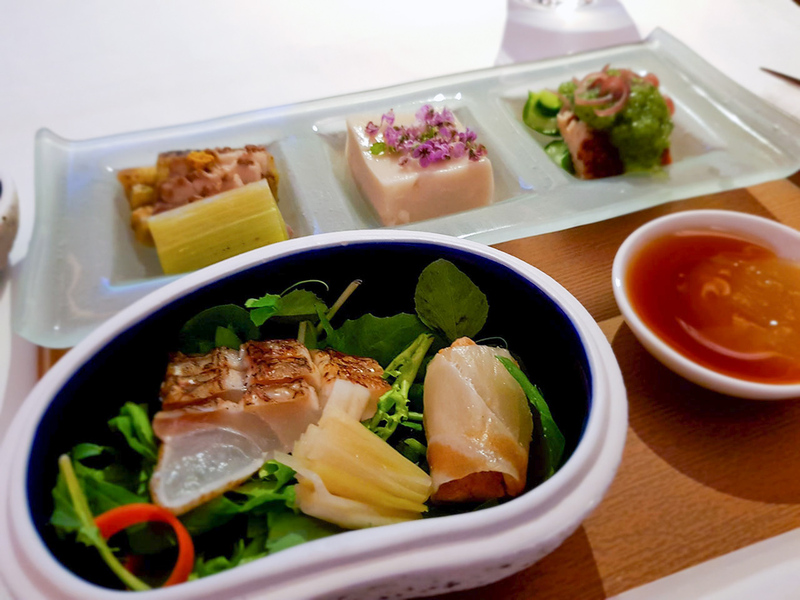 Singapore Airlines offers a Book The Cook service for Suites, regular First, Business and Premium Economy Class flights departing Singapore, meaning you can pre-select a custom meal. 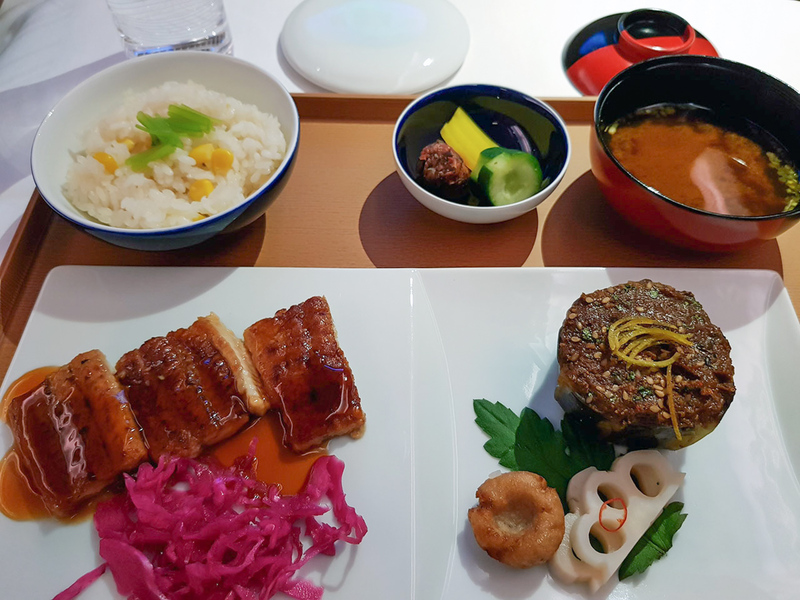 I love Japanese food and I was really looking forward to the Kyo Kaiseki that I had selected; compared to the same dish I had in Japan Airlines First Class, it did not stack up. 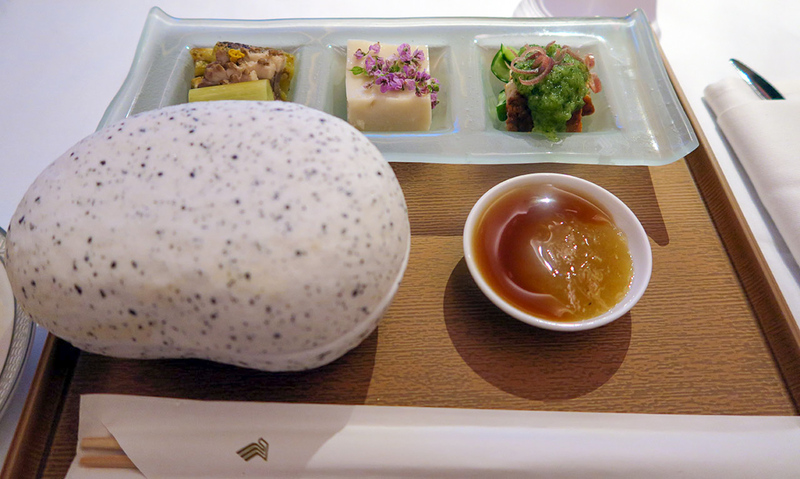 As you can see, the presentation of the food was beautiful but I found most dishes missed the mark. Luckily the dessert was a standout. 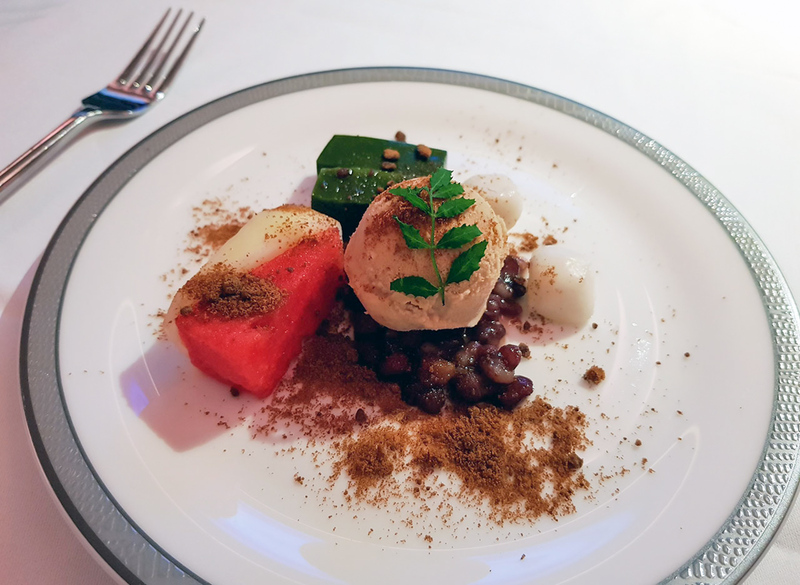 Coconut ice cream served on top of sweet fermented beans, coconut and matcha pearls, with slices of melon – delicious! 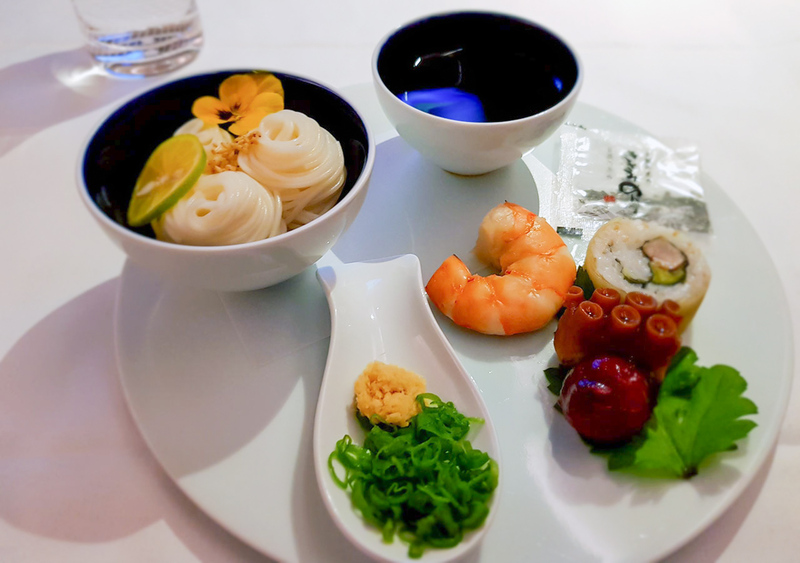 Due to turbulence, the meal service did not start until 90 minutes into my flight, which was not ideal, given that this was a red-eye flight and the average passenger would want to maximise their sleep. I was somewhat disappointed that I was not offered the caviar service, but I guess I should have asked for it. 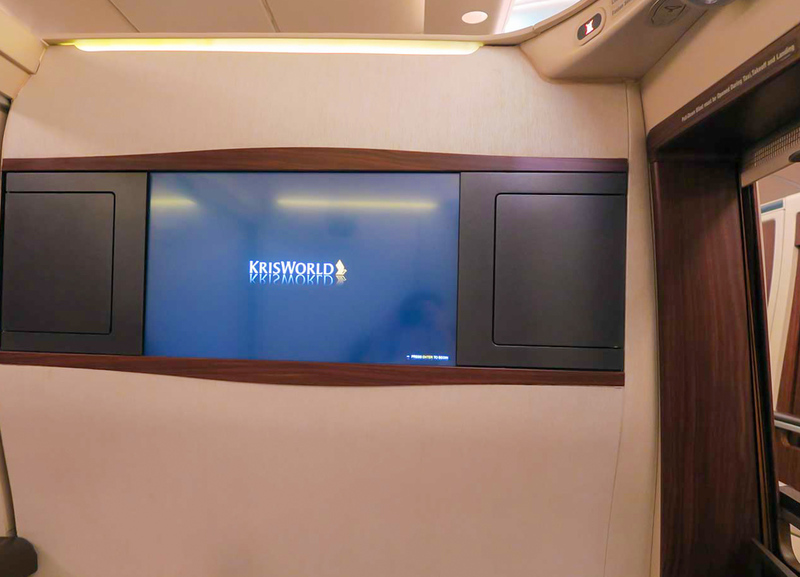 Singapore Airlines’ inflight entertainment system on the generous 24-inch screen has a huge catalogue of movies, TV shows, documentaries and music – certainly plenty of content to keep you occupied. 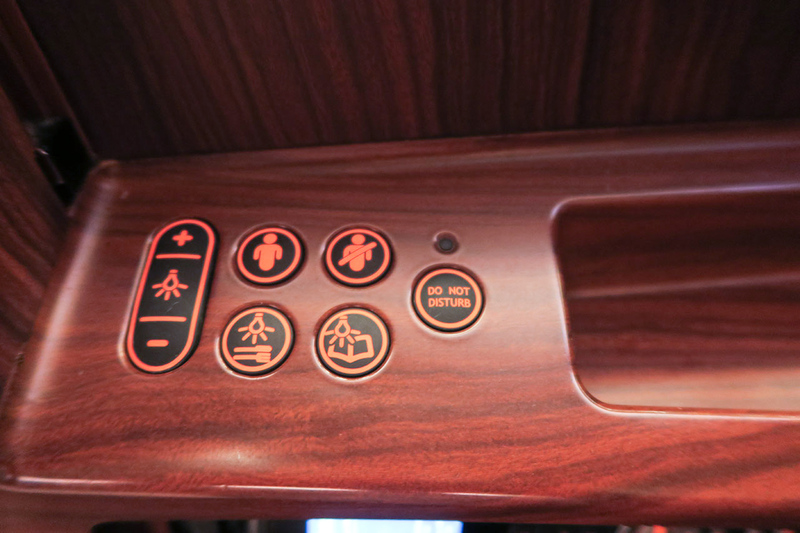 The remote control is pretty standard and could be found in a Business Class seat. 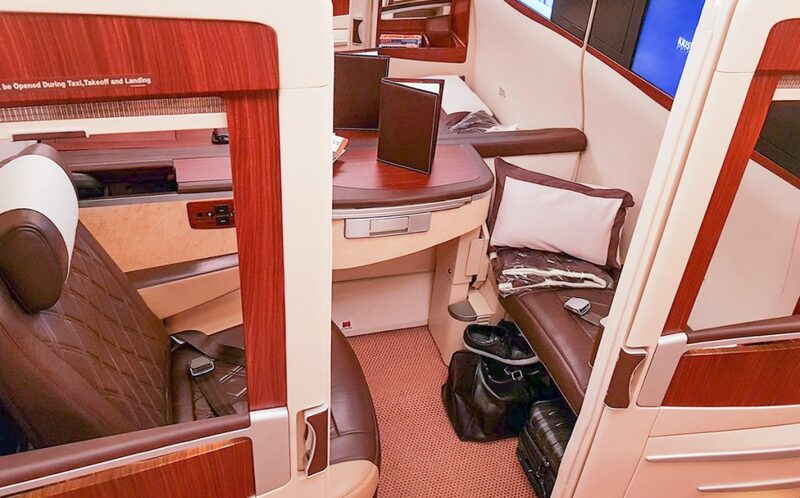 Retail fares for the ten and-a-half hour flight between Auckland and Singapore start at $7,500. 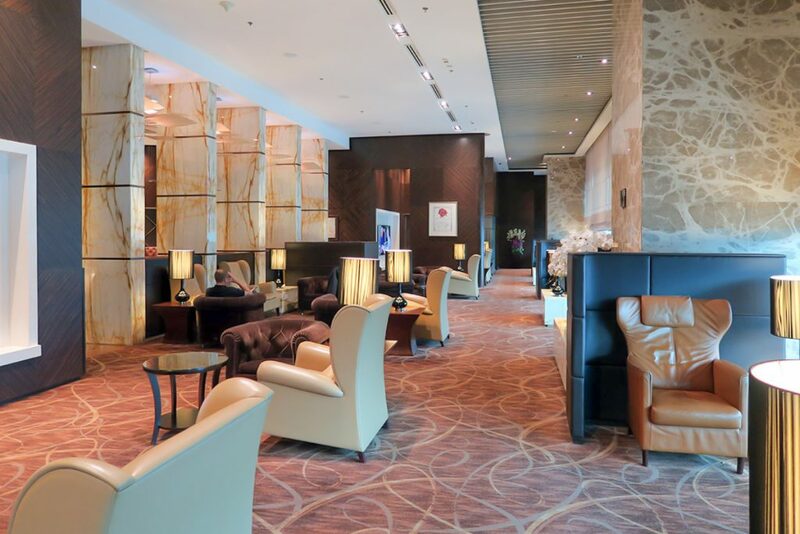 You may consider organising a stopover if using KrisFlyer miles to book your redemption. 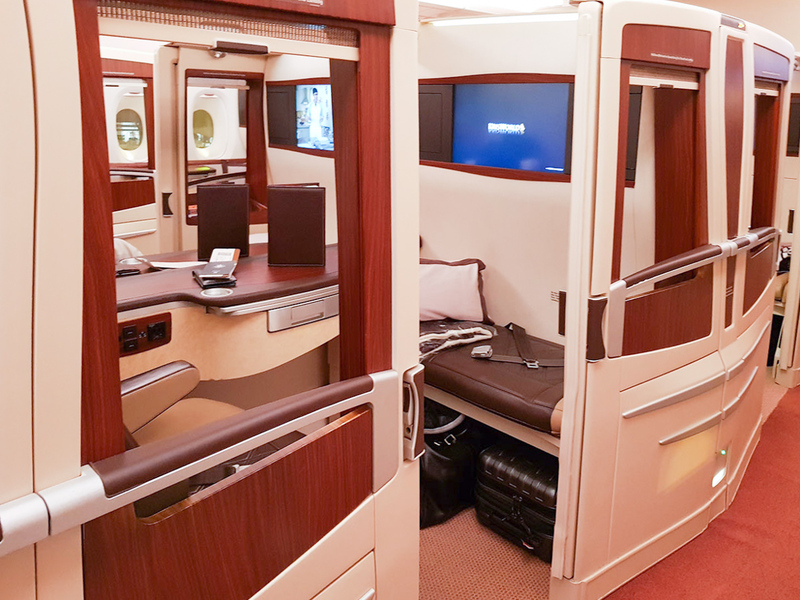 Guests travelling departing Singapore Airlines in First Class or arriving on a First Class flight and connecting to a Business Class flight are invited to use The Private Room in Changi’s Terminal 3. 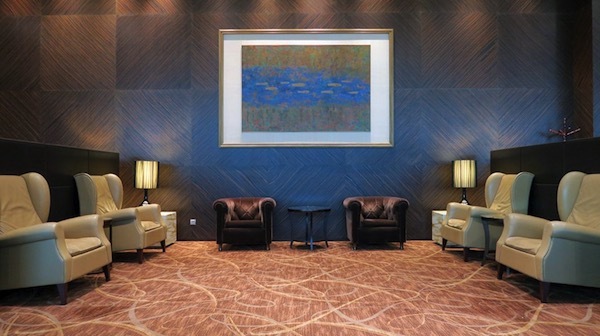 In Auckland, you’ll get access to the Air New Zealand Koru Lounge. 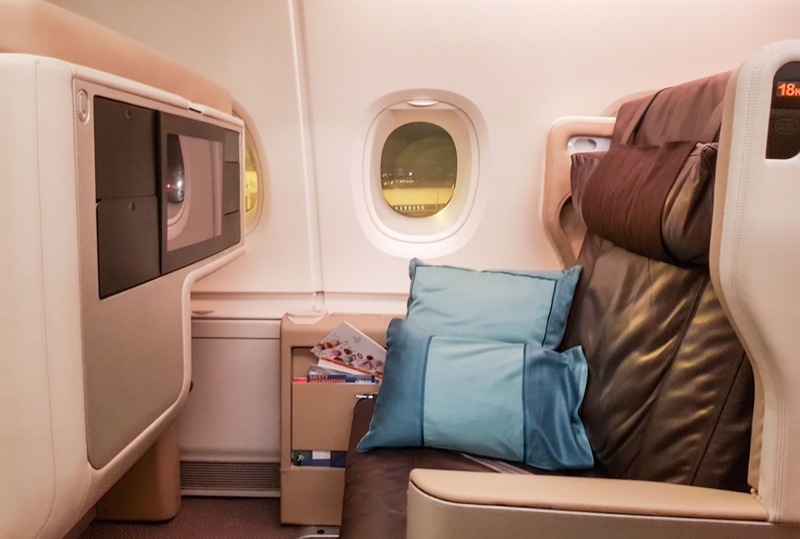 Singapore Airlines’ premium product is definitely ahead of a lot of comparable offerings, with relatively professional and attentive service and a high level of comfort. 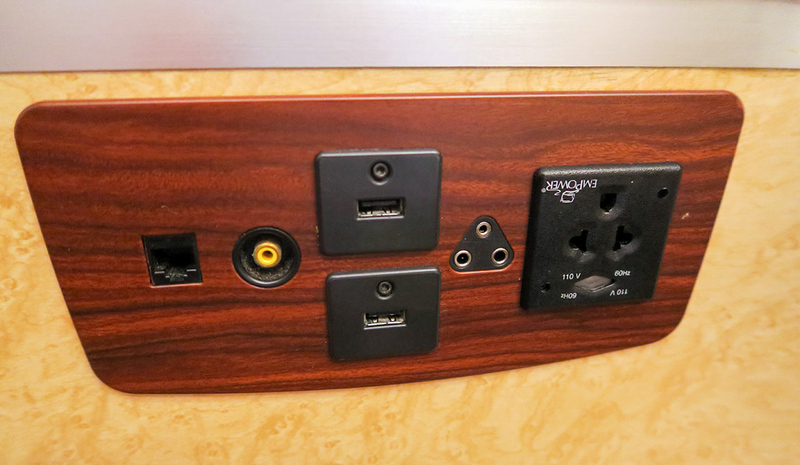 However, the quality of the food lets it down and given the last ten years has seen an improvement in First Class offerings like the onboard shower in Emirates’ A380 First Class cabin, more space in Etihad’s A380 First Apartments and an onboard bar on Qatar’s A380 aircraft, I am looking forward to seeing what improvements are made to this product in the near future. 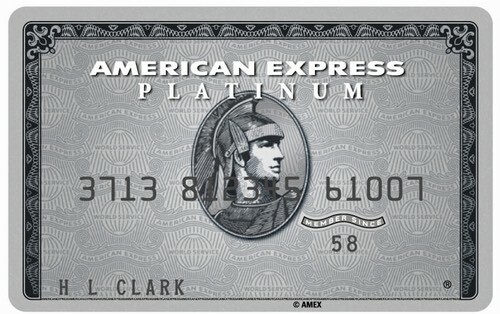 When does it make sense to transfer your Velocity points to KrisFlyer for Singapore Airlines redemptions?